When it comes to dentistry and oral health, many people think of only the mouth itself. While dentistry is certainly about keeping teeth healthy and cavity-free, it’s also about caring for your gums and protecting your whole body. At our dental office in Alexandria, we not only focus on treating the mouth, but also understand that what happens in the mouth can affect the rest of the body. This February, in honor of American Heart Month, we want to talk about how poor oral health can increase your risk for heart disease. If you’re experiencing any of the symptoms above, we recommend scheduling an appointment are our Alexandria dental office as soon as possible so we can check out what’s going on and treat anything that we find quickly. The best way to protect yourself from gum disease and the heart problems that can come with it is to see your Alexandria dentist regularly. Your dental team will not only remove any bacteria, plaque, and tartar buildup that can increase your chances of developing gum disease if left alone, they’ll also be able to catch any potential problems early when treatment is often easier and more successful. 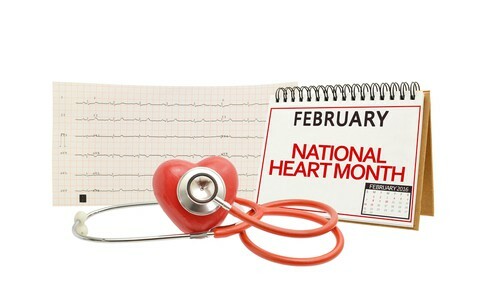 Protect your heart and schedule an appointment with your dentist today. We’re always welcoming new patients from Alexandria, Old Town, and Del Ray.